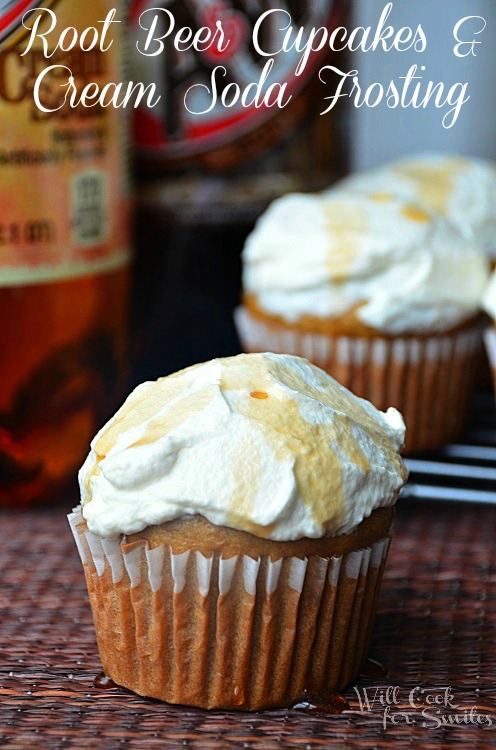 These rootbeer float cupcakes are the perfect way to enjoy your favorite summer drink in dessert form! The rootbeer is in the cupcake and the cream soda is in the fluffy frosting, which is topped with a cream soda syrup. For the recipes and ingredients, check out the whole post on Will Cook for Smiles!